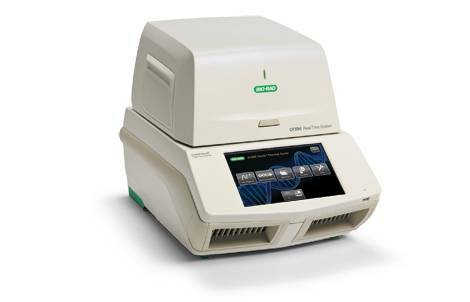 The CFX96™ Optical Reaction Module converts the C1000 Touch™ Thermal Cycler chassis into the powerful and precise CFX96 Touch Real-Time PCR Detection System. This six-channel system combines advanced optical technology with precise thermal control to deliver sensitive, reliable detection. Quickly set up runs and monitor amplification traces in real time on the integrated LCD touch screen. With up to five-target detection, unsurpassed thermal cycler performance, unrivaled stand-alone functionality, and powerful yet easy-to-use software, the CFX96 Touch System is designed to advance your qPCR.